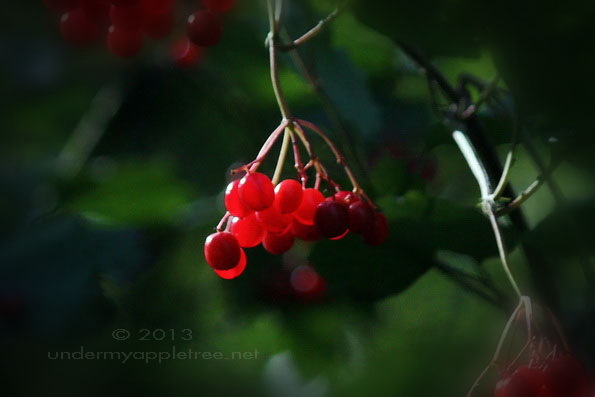 Almost wordless: In a shady area on a wooded path just enough light was streaming through to illuminate the berries. I’m pretty sure this is some variety of Viburnum. Lovely composition. Don’t you love fall! How pretty. I love how the light catches them. They glow, Leslie. You’re making 3-D photography! I have never heard of this berry. Fabulous, luminous photo!